Big Data & Society: Twitter and Censorship: Can Images and Big Data Help Hack the Silence? Twitter and Censorship: Can Images and Big Data Help Hack the Silence? In this post, I would like to reflect further on the process of gathering and analysing digital data from Twitter. In particular, I want to think about imaginative ways of working with digital images which immensely circulate on social media. 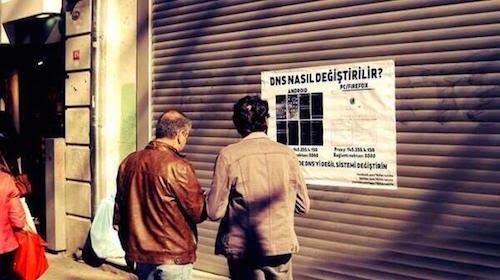 When I first started observing the Turkish censorship of Twitter in March 2014, I immediately thought that the sole use of visually powerful infographics and traffic analysis did not effectively explain what was going on, both online and behind the scenes of the 'digital coup'. I have been for a long time an Open Source software and digital rights activist, as well as a trainee hacker. I therefore found it hard to believe that data was seamlessly flowing despite attempts from the Turkish government to block the popular social platform. I immediately understood that graphics and tables were hiding a lot more than they were saying. I therefore started a process of intense following, outreaching a few active participants for online interviews, as well as collecting most reflexive tweets and images. 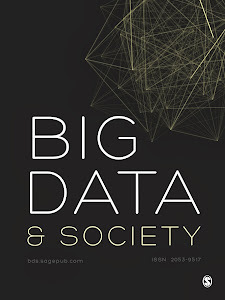 The full story is narrated in my article for Big Data & Society. Here, I would like to show how images, triangulated with other sets of data, reinforce the theoretical arguments I make in the paper: namely, that during systemic chock points, such as censorship of the Internet, ordinary users enact a series of unpredictable tactics of circumvention of censorship, aided by more traditional hackers. Drawing from Italian Autonomists' ideas around digital labour and acknowledging the learning process attached to use of ubiquitous digital devices, I put together the provocative concept of a 'hacking multitude'. The paper suggests that a generalisation of hacking/multitude can be very problematic for Big Data analysis, because of the unacknowledged potential that a multitude has for modifying, hiding, or pushing through the flow of digital data. In this ensemble of different data point, a special place belongs to images. They circulate immensely on digital platforms – they are increasingly 'poor images' (Hito Steyerl, 2009), highly compressed in order to circulate faster. Despite this, visual material is hard to take into account in traffic and metric analyses. Images are Big Data too, of course: a combination of bits and pixels that escapes algorithm identification or categorisation. Images in fact need to be contextualised, explained, and analysed (also in relation to other visual discourses). In the article, I broadly discuss one particular image (see image above) which triggered my intuitions on what a 'hacking multitude' might be. It is this image that somehow determined in me, the researcher, a Barthesian 'punctum' around transformative moments. I would contend that more traditional Big Data representations (metrics, infographics, tags, etc) can hardly reveal such a textured understanding of the social world. Paolo Cardullo is an Associate Lecturer in Sociology at Goldsmiths College, University of London, and a visiting research fellow at the Centre for Urban and Community Research (CUCR). He finished his PhD in Visual Sociology at Goldsmiths (UoL), with a thesis around the affective geographies of gentrification in East Greenwich (2012). ‘Walking on the Rim: Towards a Geography of Resentment’ was discussed with Prof. Douglas Harper (Duquesne University, Pittsburg, and IVSA President) and Dr. Alison Rooke (Goldsmiths and CUCR Director). The thesis was supervised by Prof. Caroline Knowles and Prof. David Oswell (both at Goldsmiths).